Posted September 13, 2013 by davezumbekphoto & filed under About / My Views, Wedding Photography. I am going to share an embarrassing moment with you…possibly on the top 5 list of most embarrassing moments in my life. This moment may have been less embarrassing in any other situation, but it happened to take place in the middle of shooting a wedding. I was in the Tampa, FL for this particular wedding. This was my second wedding gig, and the only one I have done outside of Illinois. The wedding ceremony was a traditional Catholic event at an area church. The reception was at a club house on a beautiful Florida Golf Course. The course offered 18 holes of beautiful scenery, including ponds (I didn’t see one damn gator! ), tree lines, and some interesting wooden bridges that cut through the woods between holes. The backdrop was a photographer’s playground for wedding photos. 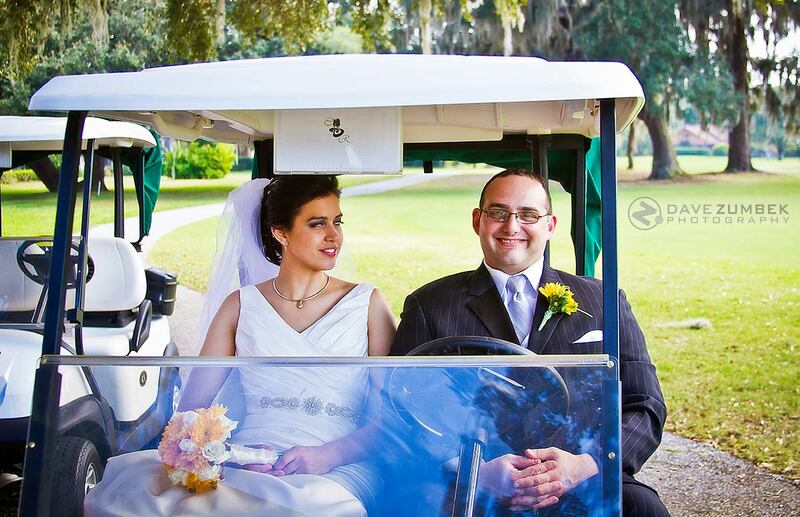 I drove around with the wedding party in golf carts, taking shots throughout the course. I wanted to get a higher angle on this shot to really emphasize the elongated bridge. 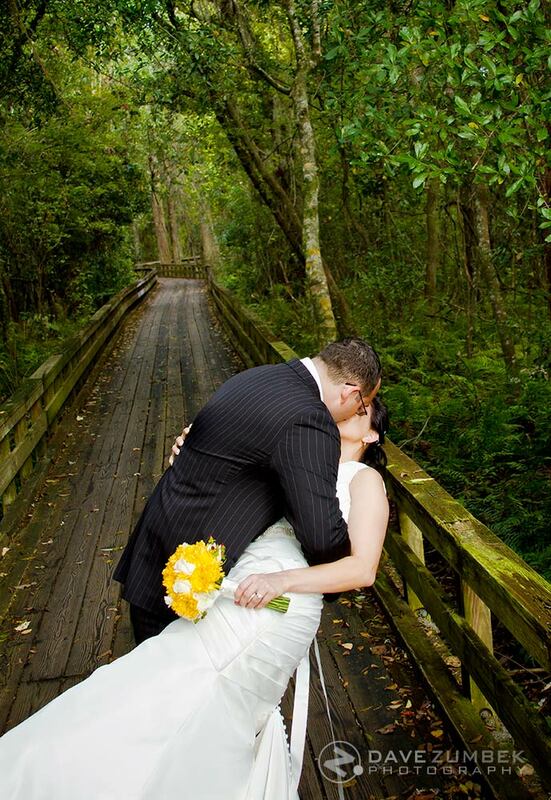 There were several shots we took on the awesome bridges in the wooded areas. It offered a very unique backdrop and nice contrast for these wedding shots. The length of the bridge added visual depth and I wanted to include more of that in the composition of this picture. As a mentioned in a previous post, my height usually provides me with a high enough shooting angle to obtain the shots I want. In this case, I wanted to get a bit higher. I went to put my right foot up on the wooden railing to stand on it. As I swung my foot up, that’s when it happened…I heard a big tearing sound. Yep, that’s right. My pants split along the rear seam and down my right leg. Normally, this is not something that would happen to me. For weddings, a photographer is most always in some type of dress clothes. I was wearing dress pants. Being that this was Florida, it was in the mid 80’s and extremely humid. In addition to that, since we were driving around in golf carts and walking far from them, I had my pockets packed with a few essentials, including a small prime lens. Combine my pants sticking to my skin in the humidity, plus my full pockets, and you can understand why this happened. I was absolutely freaking out. I did not have an extra set of pants with me. The hotel I was staying at was at least 30 minutes away. I was at the far end of the golf course, still needing to head back to the club house and shoot the reception. Not only did I have to make this embarrassing trek back from where we were, but how was I going to shoot the reception with a window now in the rear of my pants? When I got back to the clubhouse, we just so happened to be walking in at the same time as the bride’s aunt. To my luck, she was a former seamstress. Even luckier, she had a needle and thread in her purse that matched my pants enough to not be noticeable. So I went into the men’s locker room of the clubhouse, sent my pants out, and waited for 20 minutes while my pants were kindly being repaired. They were quickly patched up to a point of barely being noticeable. I was able to head into the reception before missing any of the key events and capture everything that was needed. I still to this day cannot believe how lucky I was. The reception could have been disastrous by either me missing key moments, or having people see my backside. I am glad I didn’t have to make that choice and go through any further embarrassment. I definitely learned a valuable lesson. I need to bring extra pants with me, especially when its hot or there is the potential for me to be climbing around.